How did the Dutch prioritize people over cars? Even though I could discuss my bike trip yesterday from Delft to Kinderdijk, which has the largest concentration of old windmills in the Netherlands, I thought it would be useful to provide some history first. Most people in the United States think the Dutch have always prioritized people over cars. As this article and the below video show, the Dutch prioritized cars over people during the prosperous post WWII era. Changing ideas about mobility, safer and more livable cities and the environment led the Dutch to prioritize people over cars. An example of the shift to prioritizing people over cars can be seen in Delft. Since the mid 1990s. 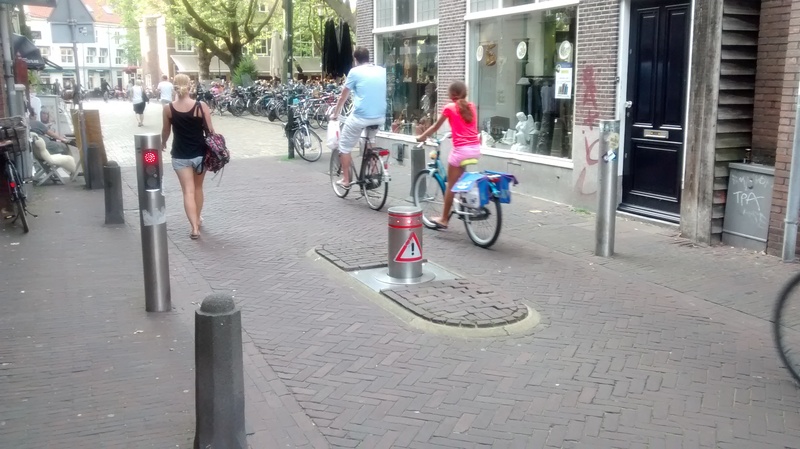 Delft has been creating a pedestrian zone that also allows cyclists. 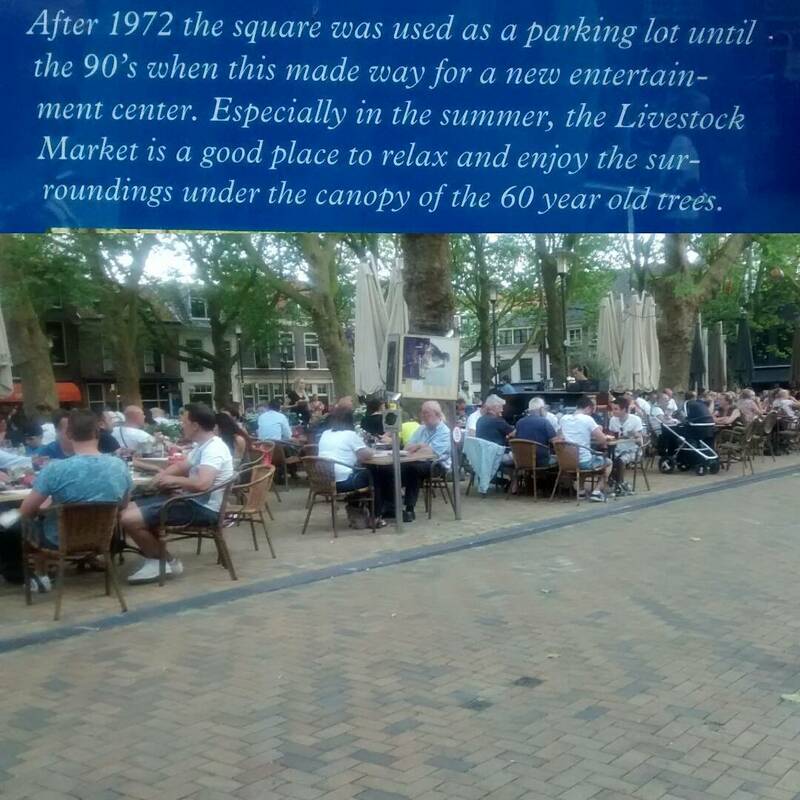 Beestenmarkt, which is located in Delft, was a parking lot from 1972 to the mid 1990s. In the mid 1990s, Beestenmarkt was transformed into a car-free square. The adjacent restaurants have divided up the car-free square into seating areas for their customers. Here is a panoramic photo I took while sitting on a bench in the center of Beestenmarkt. The kids are blurry because they were moving quickly while playing soccer. My smartphone was only able to get about half of Beestenmarkt in the panoramic photo before the panoramic ended. I still can’t believe Beestenmarkt used to be a parking lot for automobiles! Could cities in the United States create pedestrian zones? Yes! However, creating successful pedestrian zones can be very challenging, especially in the United States. Making Pedestrian Malls Work: Key Elements of Successful Pedestrian Malls in the US and Europe provides a detailed comparison of pedestrian zones in the United States and Europe. While pedestrian zones have been successful in Europe, most of the pedestrian zones installed in the United States have been removed. Of the approximately 200 pedestrian zones installed in the United States by the end of the 20th century, only about 15 remain in use today. Until the United States starts prioritizing people over cars, pedestrian zones will not be successful in the United States.